Even though he did not begin playing soccer until he was eleven, he had developed his skills enough to be named the 1987 Michigan High School Player of the Year by his senior year. In addition to playing soccer, he was a member and captain of the Cranbrook hockey team, which won the state championship. Lalas was rated for the Ontario Hockey League Midget draft in 1987, but was not selected. Lalas attended Rutgers University where he played on the men's soccer team from 1988 to 1991. During his four seasons at Rutgers with the Scarlet Knights he reached the NCAA Final Four in 1989 and the National Championship Game in 1990. Lalas was named a third team All-American in 1989 and 1990. In 1991, he gained first team All American recognition and was selected for both the Hermann Trophyand the Missouri Athletic Club Player of the Year award. As he did in high school, Lalas also played hockey in college, leading the team in scoring in 1989. Lalas left Rutgers in 1991 to focus on the U.S. national team despite being interested in finishing his degree. He resumed his education in 2013, when Rutgers began offering enough online classes to fulfill what Lalas required to graduate. Lalas took 12 classes and 36 credits over 10 months to finish what he jokingly called "a 26-year plan", earning a bachelor's degree in English with a minor in music in May 2014. After college and the 1992 Summer Olympics, Lalas trained with former Arsenal player Bob McNab in California. This led to a trial with Arsenal during the winter of 1992. It was quickly determined that Lalas did not have the quality for a first team spot. As a result, Lalas only had a few training sessions with the Reserve team before being cut shortly after his arrival in North London. Lalas then returned home in Detroit and spent a month reluctant about his future in soccer before coach Bora Milutinovic invited him for the United States tryouts in Mission Viejo, California. Lalas served as President and General Manager of the San Jose Earthquakes during the 2004 and 2005 MLS seasons. He served as a General Manager of the New York Red Bulls from 2005 to 2006. Lalas served as President of the LA Galaxy from 2006 to 2008, during which time the club signed David Beckham. 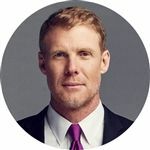 Following his time at the Galaxy, Lalas spent six years a commentator for ESPN before signing a commentary deal with Fox Sports.